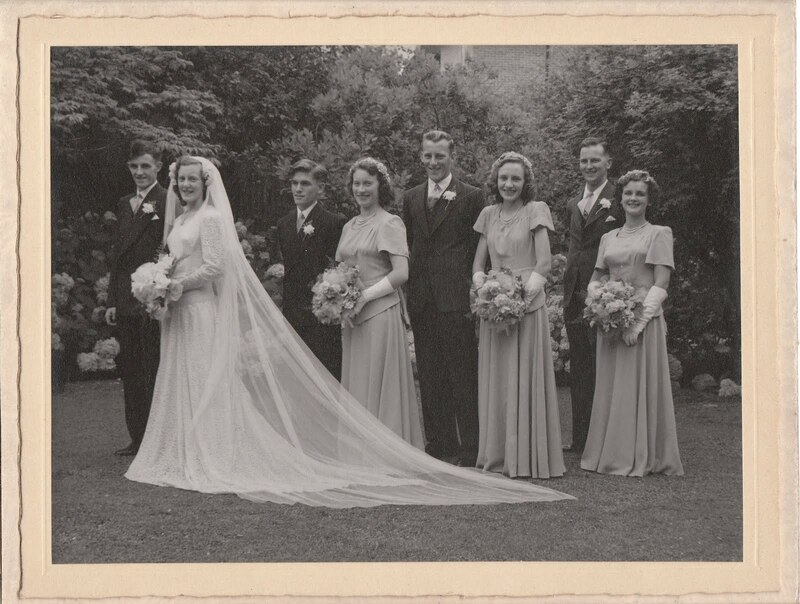 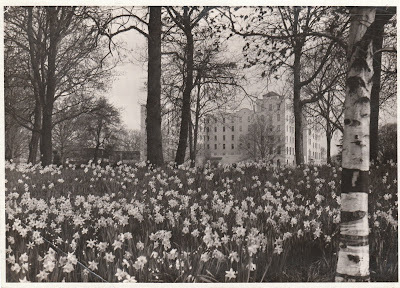 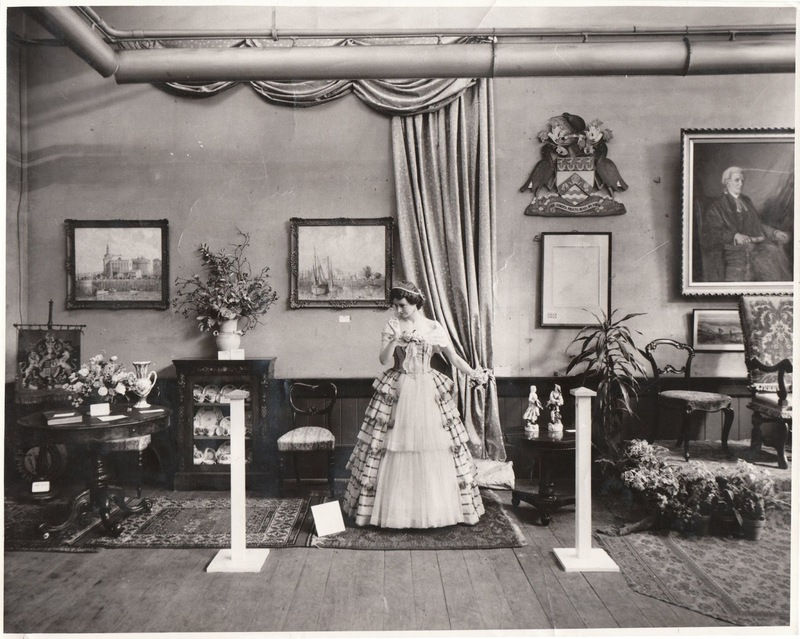 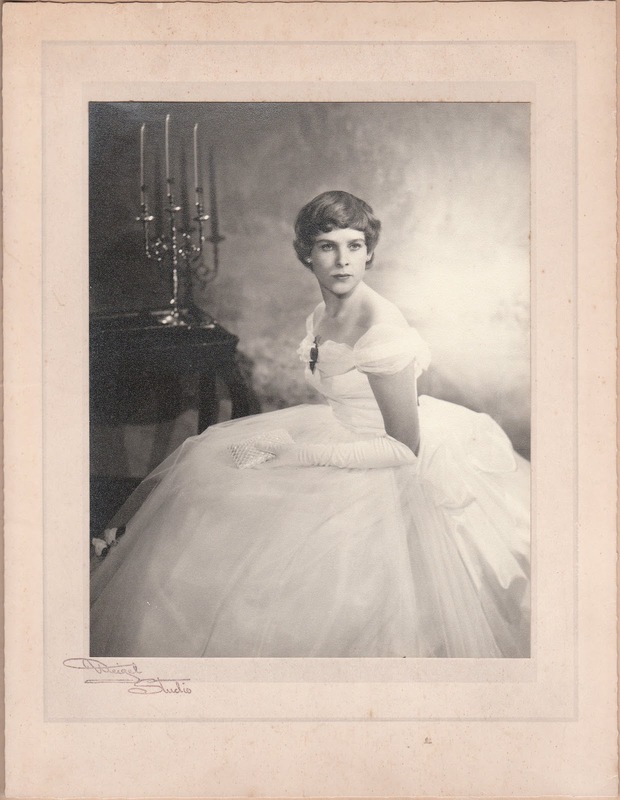 This photograph by the Weigel Studio and the wedding photograph below by an unknown photographer came from the estate of Miss Falconer who had a shoe-shop in Colombo Street, Christchurch and died about 2012. 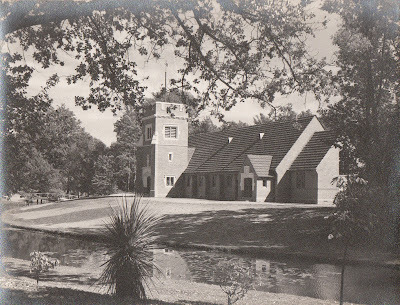 The Memorial Chapel at St Andrew's College, Christchurch was built in 1954 as a memorial to those who lost their lives in World War II. Antique Exhibition, Art Gallery, Durham Street, [Christchurch]. 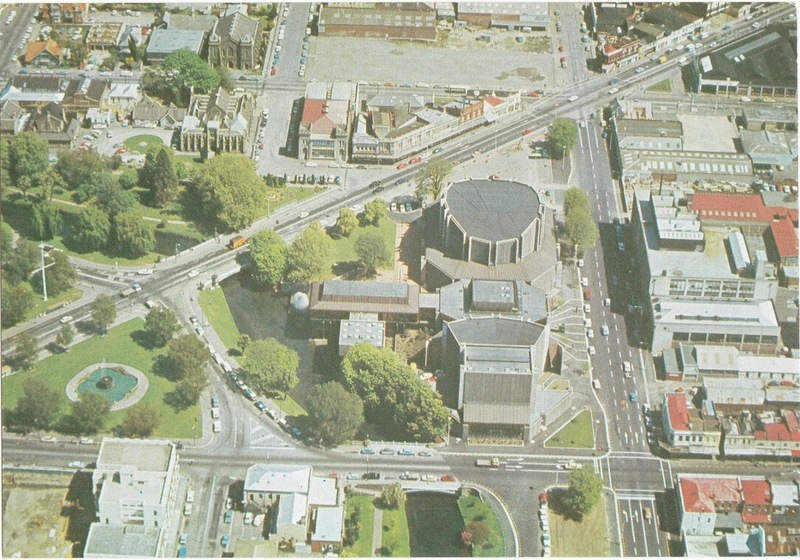 "Our China Cabinet and China"
Christchurch Town Hall from the air. Hello Peter, hopefully the negatives do survive somewhere. 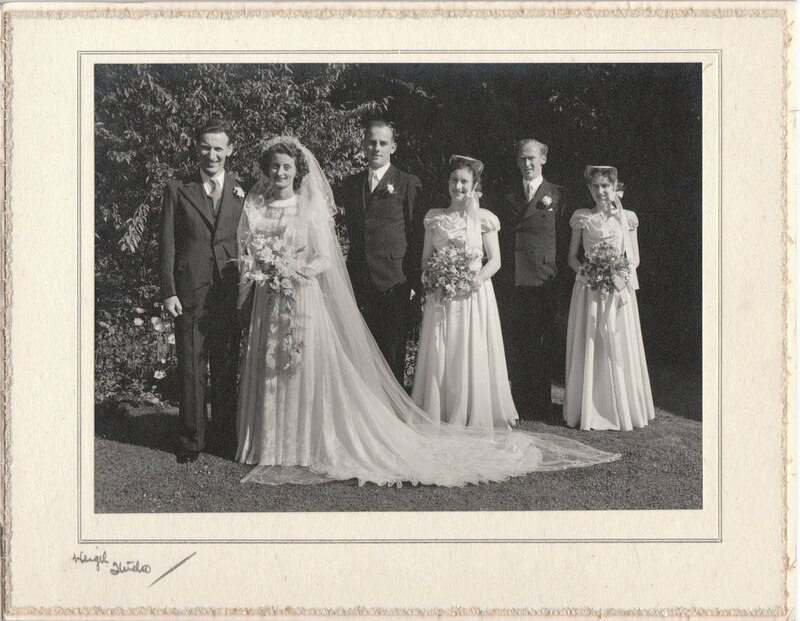 Perhaps if there are any family members - they will have them.